Best Funny App in the World! 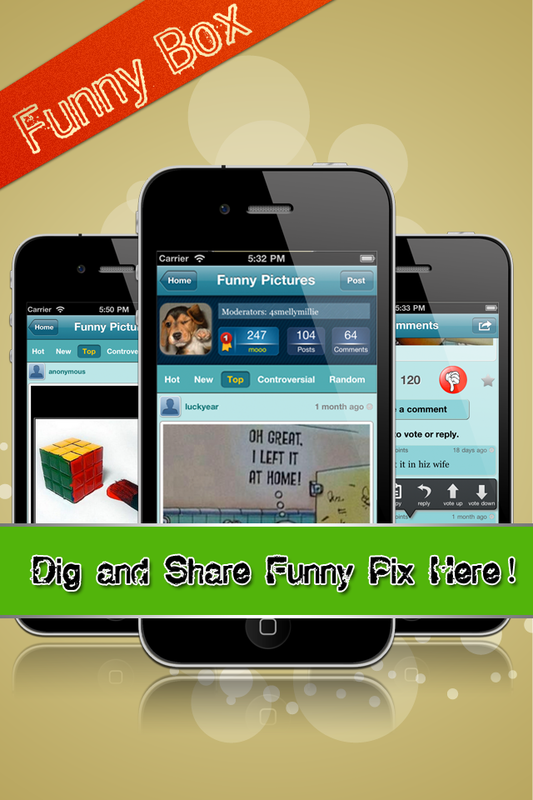 With Funny EPIC FAIL Pics, Jokes & Quotes, in this single App! laughing for hours. You can also post pics and jokes, make them HOT to show your great humor sense! 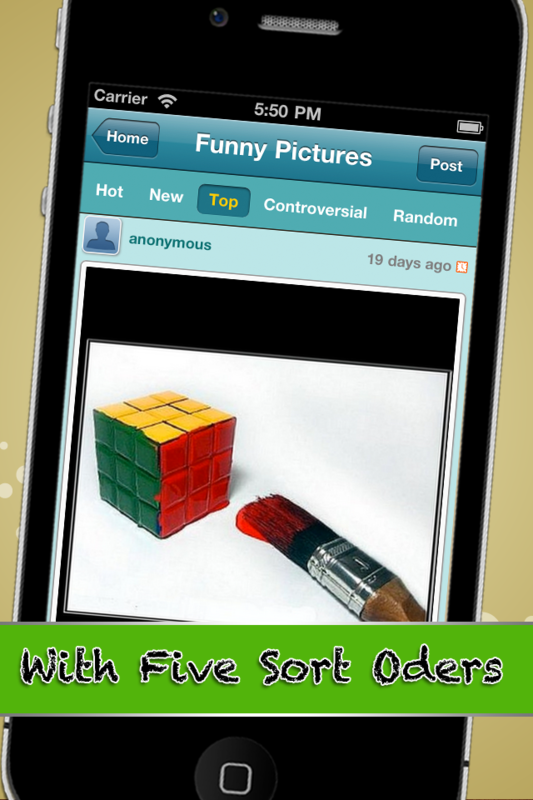 More than 20,000+ best selected pictures and jokes in your hand! More than 1000 new, fresh and funny pictures and jokes every day from our users including you! Whenever you need some time to kill, and want to cheer yourself or your friends up - this app is just perfect for you! ● 5 sort orders- Hot, New, Top, Controversial and Random. 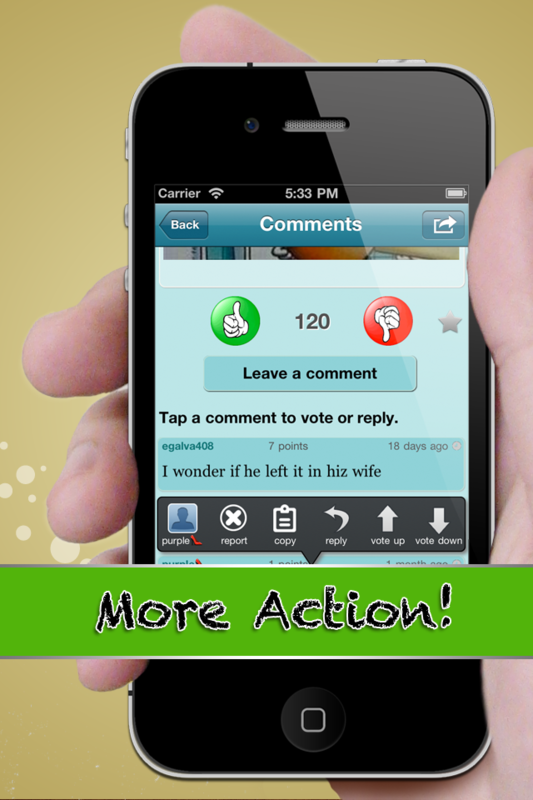 ● Push notifications when someone commented your posts! 1. Added realtime chat between friends that are following each other. 2. iOS 5 compatible issues fixed. 3. Magazine style thumbnail for posts. 4. Added weekly, monthly user score leaderboard for board. 5. Swipe on post in the comments UI, can go to previous and next post. Dog pics - show your dogs and see what the world say! 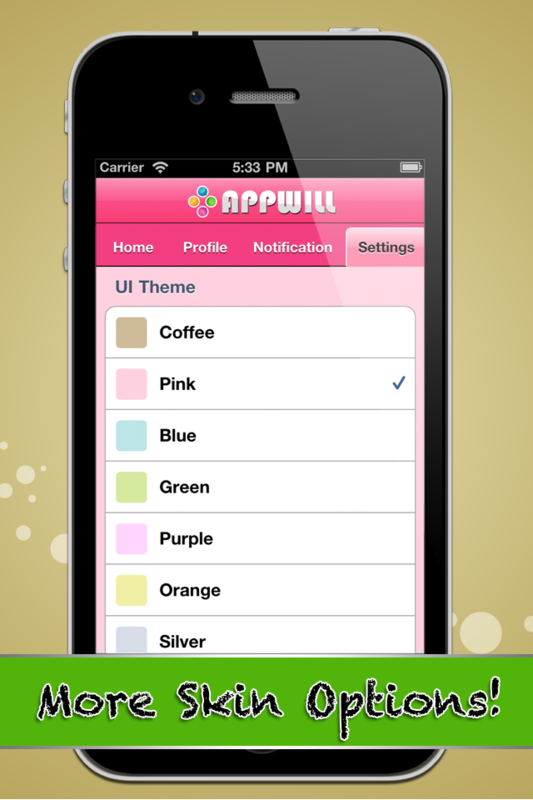 Glow Backgrounds Maker - Customize Your Home Screen!